RavenRedbone hosts the “Make No Bone sAbout It” show Sundays from 4- 6 pm on 89.3 FM KAOS Radio. For many of us, Thurston County has changed a lot in the last ten years. Just look at Lacey with it’s bustling Hawks Prairie area, Tumwater is expanding right before our eyes, and Olympia is the vibrant cultural hub many of us have known it to be, with the potential to become more than a half way point between Seattle and Portland in terms of music, art and culture in the Northwest. But I challenge you to imagine Thurston County 150 years ago, before Mt. T’swaq became Mount Tacoma and later Mount Rainer, when trees and marsh flourished around what is now the I-5 corridor, and Hawk’s Prairie was, well, a prairie. Underneath our homes, our occupy tents and great coffee shops – that old Thurston County, along with the the vibrant customs of indigenous peoples who inhabited this area, still remain. 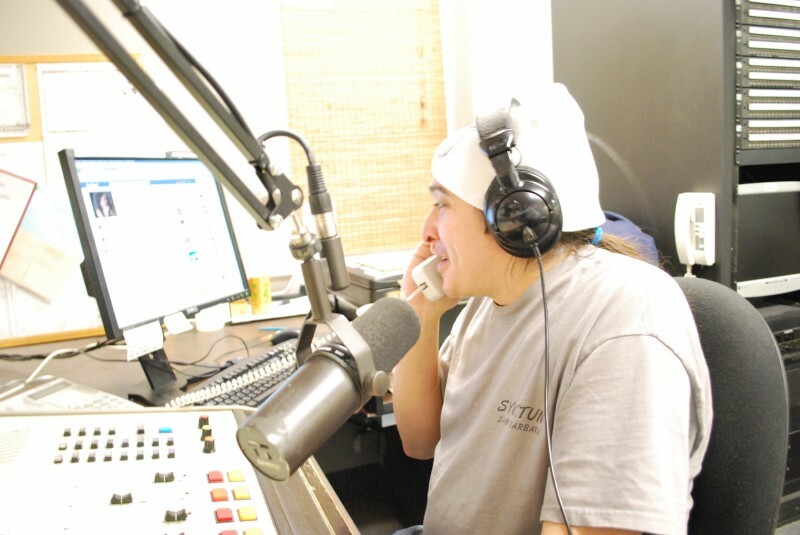 It’s alive in the oral traditions of the Nisqually and Squaxon tribes, it is carried in the thunderous drum beats of the Puyallup and Suquamish tribes, and on the airwaves with Olympia’s own Ranting Raven Redbone. Raven hosts the “Make No Bones About It” show Sundays FROM 4-6 pm on 89.3 KAOS Radio. This entry was posted in Raven views and tagged Connecting with Spirit, Honoring, Indigenous, KAOS 89.3 FM, Living in Olympia, Make No Bones About It, Native American Indian, Olympia, Raven Redbone, Robert Humes, T'swaq, Thanks. Bookmark the permalink.